Used to work with something like this when I worked for a commercial silk screening company when I was 19. 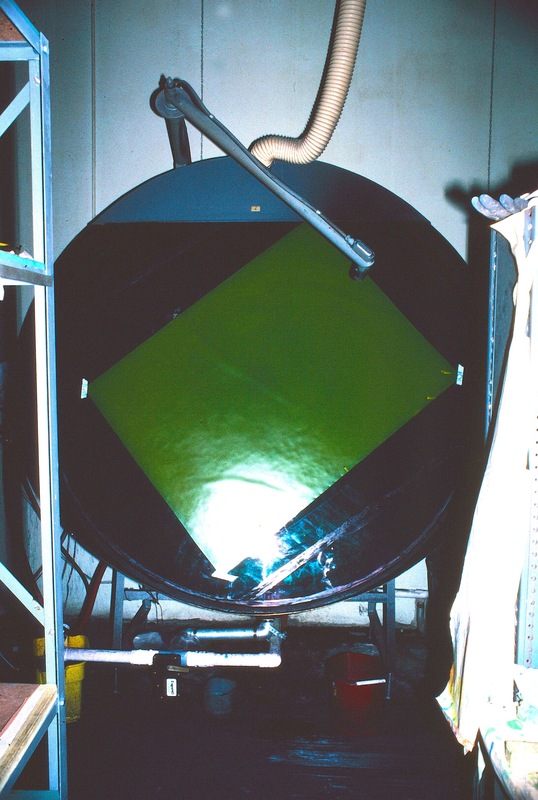 We’d spread special emulsions on a very large piece of frame-stretched, fine silk mesh, place it and the half-tone negative in a vacuum press, then shoot it with an arc lamp. After that we’d wash out the bits that hadn’t hardened from the lamp and, voila! One very big silk screen ready to go! Love that kind of stuff! Silkscreening is a lot of fun. I recently assisted a guitar-building friend in silkscreening a pickguard and guitar case. He’s really good at it and the results were excellent. I worked at Brown camera for about 8 years in the 1970’s. I recall the Chicago Aerial camera. If remember correctly it was a 56″ X 56″ film door with a Glass screen mechanism. The Model name was the President. there were only 3 others made and I believe the US Government owned the rest. Thanks, Ronald, for that info. It’s too bad that more folks aren’t aware of these gigantic cameras. They were so much fun to use and the resulting images were astonishing, at least to me. 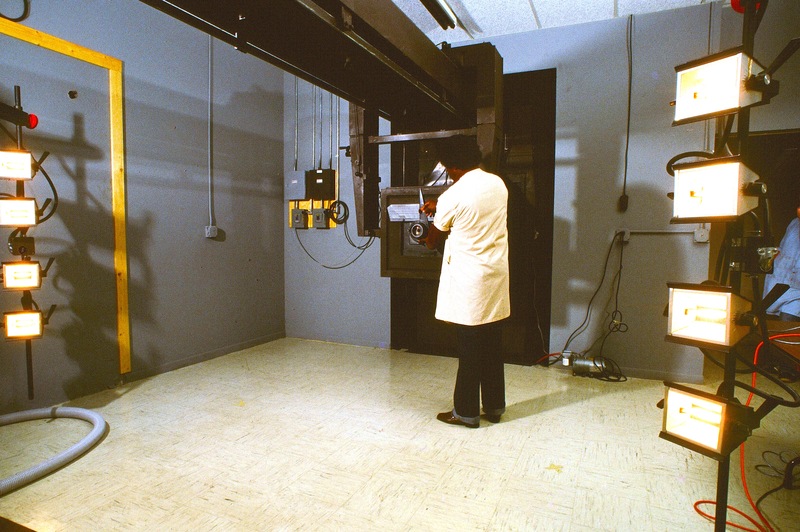 I had one photo lab tech, and a very good one, who was so in love with the big camera at Martel Labs that he did all the work that should have been done on a contact frame on that camera! So he was shooting “dupes” using EL-4 film and then going neg to pos!!! This gentleman was a retired USAF Lt. Colonel. If you have any photos of those big cameras, I’d love to see them. Coming in late….Just curious…I used to work at Martel in St Pete in 1980 as the receptionist with Barbara the Admin and David Jones in HR. Were you there then? Pardon my Old Home Week moment! Thanks for your comment! I worked at Martel from, I believe, 1984 to 1987. I ran the photo lab and International Geographics Division for Randy Vaughan. Peggy was the office manager. Interesting place!!! Randy was such a wonderful person. Harold and Judith were good to me, but wow. Dealing with them was a challenge. That’s a nice way to put it!